Another day, another home on Kensington. I’ve lost track of just how many units we’ve written up from this street. 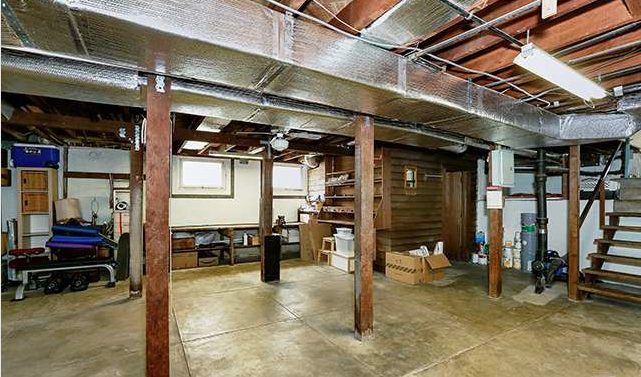 Needless to say, it’s a desirable area, and this is a particularly desirable home. 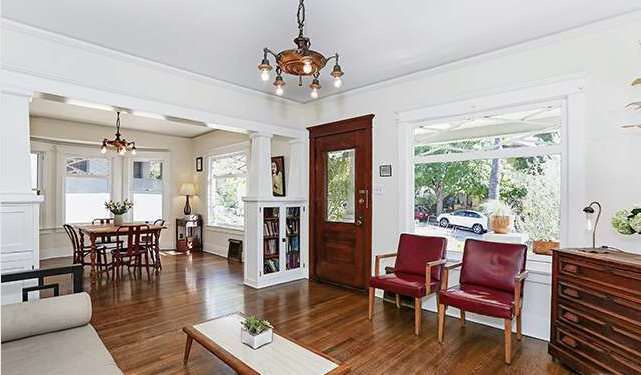 Located in historic Angeleno Heights, the gorgeous 1922 Craftsman at 932 West Kensington Road hits a lot of marks directly on the nose. Maybe even some you weren’t aware of. 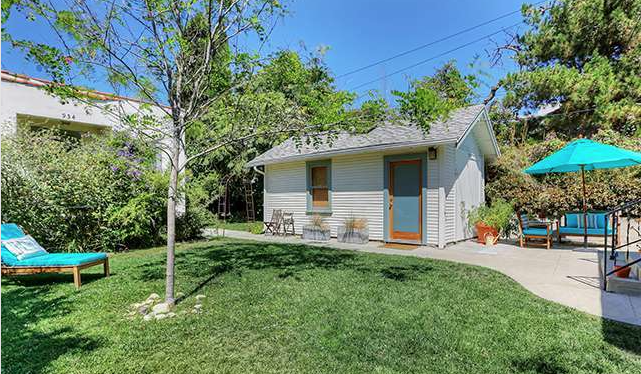 Located on an ample 7,300+ square foot lot you get this well-preserved 3 bedroom, 2 bath beauty; an adorable 1+1 Spanish style bungalow for in-laws or rent or rent from in-laws (no judging here); plus a converted studio garage–all for $949,000. 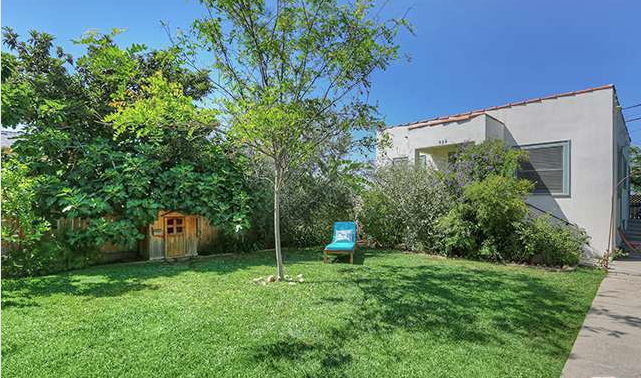 There is also a very usable yard and patio with various fruit trees. 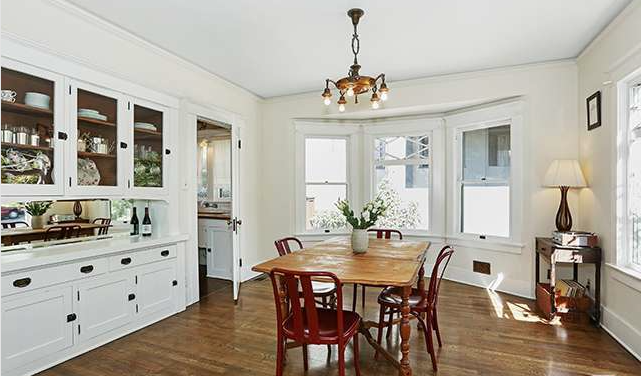 The main home offers a what’s what of period trappings — with beautiful hardwood floors, ornate chandeliers, bay windows with a patterned transom window, and numerous built-ins, including an extensive buffet in the dining room. You’d think we’d tire of subway tiles and wood countertops on white cabinetry, but this kitchen only bolsters our passion for it. 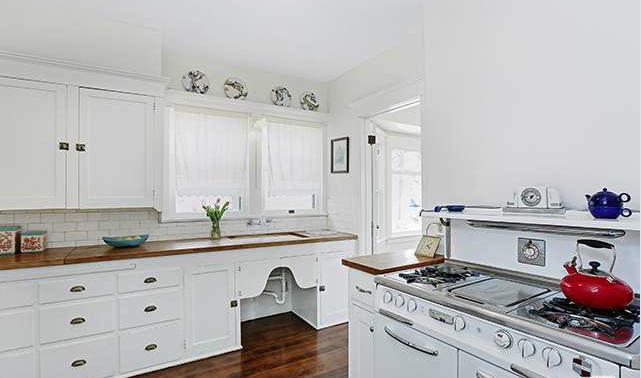 Additionally, you’ll find an O’Keefe & Merritt stove that maintains the look of the era. 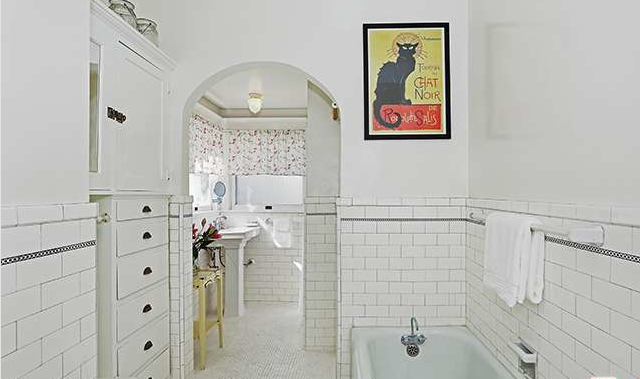 We hope you appreciate subway tile, as this first floor bathroom extends far enough back to make it feel as though you’re heading down the halls of a Paris metro station — to use the restroom. Additional built-ins are a welcome inclusion. 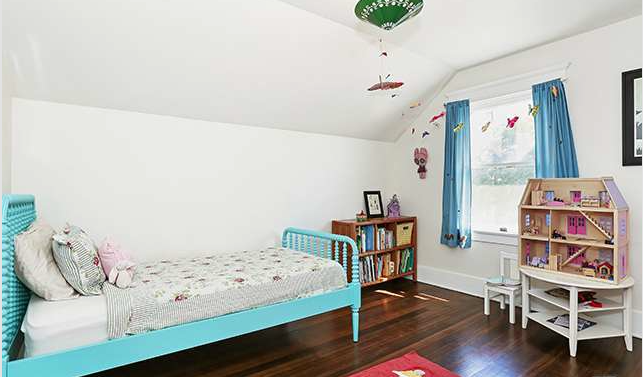 As the final room on the first floor, it’s free to be used as either a guest bedroom, den, or something far more imaginative. 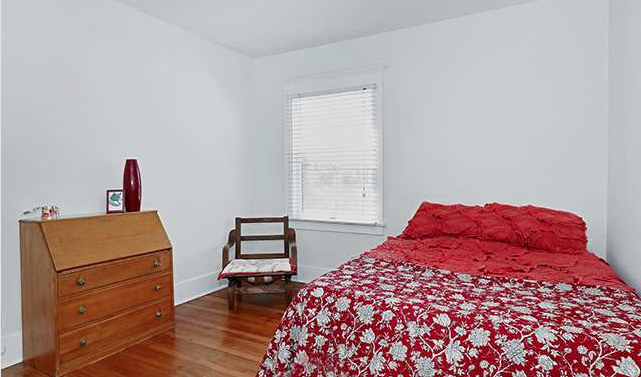 You’ll find the other two not particularly large bedrooms, and second bath, upstairs. You still have to chalk one up for detailing — the floors and lamp look great. Heading on over to the bungalow built in 1924, it’s pretty standard fair, though there is ample yardage separating the units with some shrubbery for added privacy. 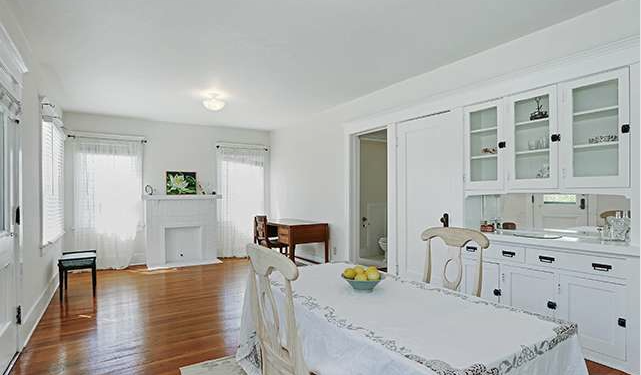 Surprisingly, the inside shares many of the character traits found in the larger home, just on a smaller scale, including a lovely buffet style built-in the dining area. 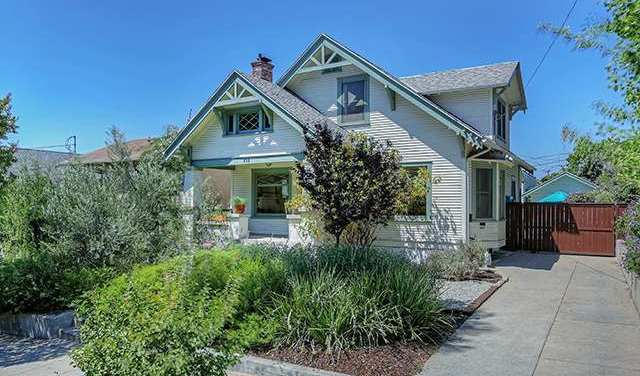 There is a definitely a sense here, that while it may lack the size of the front home, it doesn’t lack the quality. 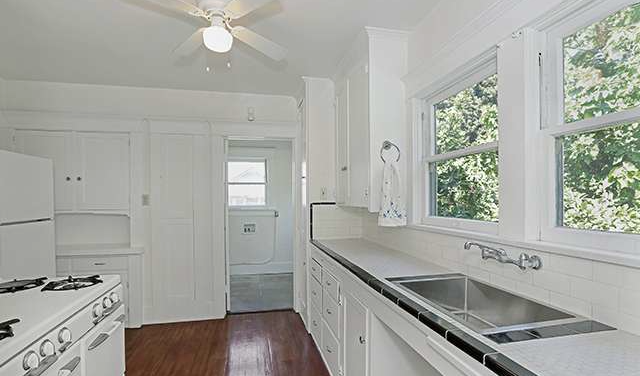 Again, the kitchen layout is very similar to the front home, though tile replaces wood for the counter. 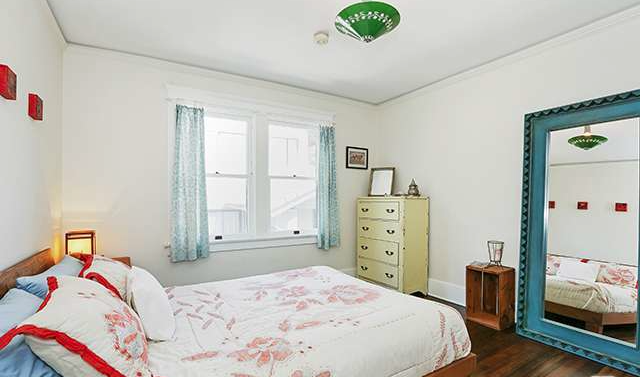 It may be a one bed, one bath but this is far from a penalty box. The bedroom is cozy, but certainly not wanting of anything. 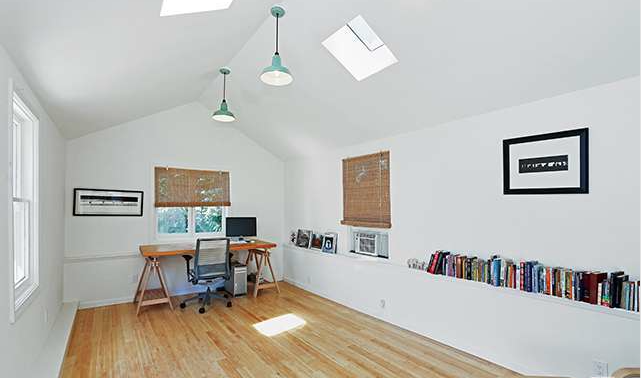 As far as conversions go, the simple layout of the studio garage is hard to argue with, especially with those skylights. 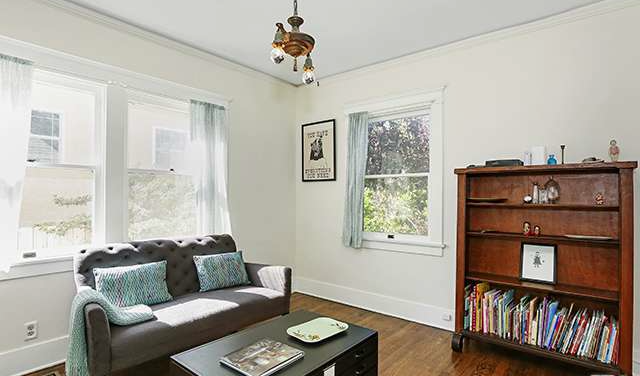 Throw in a sleeper sofa and you have another extra bedroom. Finally, the crème de la crème of Southern California rarities, a full-size basement. Great as it is for storage, it could be greater still converted to something more.